A survey was done in the UK for the people’s favourite board game, and it wasn’t surprising that monopoly topped the list.The research showed that 84% of adults in the UK prefer to sit down and play a game of monopoly with their friends and family compared to other activities. Monopoly was found to be the most popular after Christmas dinner game. Monopoly has many good points to it like using your brain to work out the best properties to buy. It also helps with managing money as the aim is to obtain properties but not go bankrupt. Why are board games so appreciated in the UK? Board games are on the rise again in many places, yet they never indeed died out in the UK. Many people prefer board games from the high-tech computer games. The UK holds a sizeable annual hobby game convention and expo. The UK breed is remaining old-fashioned and prefers sitting down together talking, laughing over board games. Rather than sitting in the lounge room all separate browsing on their phones. While computer games are right there is still the fun, the frustration and the intrigued feeling of playing monopoly whether all laughing together cursing.It’s important to keep the board game tradition alive and encourage new generations to sit down with family and play. What games top the popularity list? Here is a list of the most popular board games in the UK. The original game good old Cluedo is an old-fashioned game but still tops the list.The game has had many facelifts with different themes coming out each year. First, we had AgathaChristies slant, now we have the famous game of throne version. The game is the same, but it allows you to customise the board with your favorite tv show or movie. He game is a classic murder mystery game that is loads of fun designed for 2-6 players. So many themes are available from Harry Potter to Sherlock and Doctor Who. You will be sureto find a theme you like. Trivial pursuit is another classic that is so popular in the UK. It is however aimed at older ages which makes it not the best choice for family dinners and after parties. There is now a family edition of general knowledge questions that are split into two sections one designed for children. The other designed for older adults. There is however a question that is debatable are the little plastic triangles pies, cakes or cheeses. This game is perfect for cold rainy days or a game to prove who is more intelligent amount friends. The game is suitable for up to four players. Are board games good for your brain? 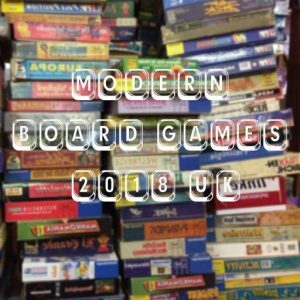 We tell our kids to get off computer games and play some board games but are they any better?Some of our board games are gathering dust in a cupboard somewhere. Drag them out and get the family together. Boardgames have many benefits that keep your mind active and healthy. Board games are entertaining, encourage patience and team spirit. Boardgames may bring people together and encourage time off screen devices, but they also offer so many more benefits. Board games are suitable for children middle aged and even the elderly. Lowers stress levels compared to high tech computer gamesWe will keep writing articles every week about board games and with a focus on the UK market. You will find all future articles at https://www.best-boardgames.uk. Thanks for reading! Have we become more modern with our board games? We are in a world of board game renaissance. Yes, we know about mousetrap and trouble which are not as sophisticated as some of the modern board games that are out now. Modern board games are set to test your patience then be rewarded for it. Check out some of the excellent board games and add them to your collection for a more complex, deeper thinking board game experience. It’s not just about tossing dice around anymore or the typical board game that we move counters around a board surface. It is not just about working with a set of rules. There is so much involved with strategy and pure chance.Without the need for any skill level unless we’re talking educational type board games. You aim to complete your goal. It may be defeating your opponents in the way of an accrual point system or winning position who gets to the finish first or who doesn’t go bankrupt in games like monopoly. There are so many board games in the modern world now that all have different ways to reach the winning goal. We all know monopoly, scrabble and twister oldies but goodies but move them over, pack them away.We are in the world of modern board games now that keep you on the edge of suspense, frustration and pure determination. Amerigo is first on the list that is game on the list to play again and again. You will always come back for more. A cube tower is the centre of the game. The tower gets filled with coloured blocks and as the players drop more blocks in the stuck neighbourhoods become free. This game requires luck and the skill to remember what coloured blocks are already in the tower.Each colour has a different action that you need to remember. As you go around the board, you get more involved in the game. There is a requirement for 2-4 players for this very entertaining tower board game. A game made popular with the tv version. If you are familiar with the game of thrones series, then you will understand the thrill and excitement this game brings. Chuck on some episodes to play in the background while challenging your friends to your own game of thrones game. This is your chance to rightfully claim the throne. Whoever conquers the most land in the ten rounds of gameplay gets to own the place on top of that throne. It designed for 3-6 players and is indeed a bunch of fun for all game of throne fans. Are you the next throne owner? Kemet has all the design features of a modern board game with its sharp designed pieces. This game is a war game made by the creators of the Cyclades another favourite board game of the contemporary world. This game takes its time and isn’t for the quick gamers. Create a battle on either side of the board and let the fun begin. This game is for between 2-5 players and is a much fun playing with just two or when you add more. This game takes time to get into the real side of the goal, but once there it’s an experience that outdoes monopoly and twister. Nothing better to do on a cold rainy day than play board games. It occupies cooped up children who are so bored and want countless things to do. Some board games like monopoly and twister never go out of fashion. You have mousetrap who kids these days don’t know what it is. There are classic then there are ancient classics some of which are still popular today. Some of the worlds oldest games are listed below. In-depth strategy and essential rules for these games that both children and adults played back in the ancient days when there wasn’t any tv, video games or iPhone. Does everyone play board games? There are so many boards games for children and adults. For some people, it’s a way to have fun, and for others, it is the only way to prove their strategies. For some people playing board games has a religious significance. Those who have limited access to high-tech computers and devices can still get entertainment out of board games. Board games are also suited for the elderly they aren’t too complicated and help to fill in their time. 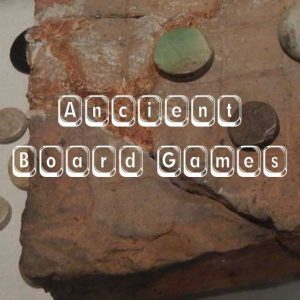 The ancients played board games. They are the reason why we have them today so no reason why we can’t continue that. Ancient board games are still played today remember naughts and crosses? This game is still popular today thanks to the old people who invented it as such. There are still a few things that have changed over time like the Romans used naughts and cross pieces that were moved around the board. Today we often use paper and draw the naughts and crosses. It’s a straightforward game by being the first to have all three of your icons in a straight line. Comfortable for travelling as you only need a pen and some paper. No complicated rules or skill levels required. Go is around 3000 years old and was first played in China. It’s actually so popular there are pieces in the China newspaper regarding the game. Go is the grandpa of board games. The goal of the game is to surround the opponent’s pieces.The rules are simple, but it follows with a strategy that is very intricate, more complicated than chess. It is probably not for those with no patience levels. If you don’t feel like using your brain much, then perhaps look for another game not so multifaceted. Go has a more sturdy board than chess and many more alternatives to moves you are allowed to make. The name Mancula comes from Arabic that means to transfer. The game is said to be about 7000 years old. You are challenged to move pieces from each bin to bin. There are several rule variations for the game. Mancula is very popular in Africa with a surrounding 800 different names for this strategy game.There are various levelled boards and different themes to choose from. If you prefer artistic designs, there are themes likes sea shells or wild animals. The most abundant game of Mancula contains 400 play pieces. Although simple, this game is very addictive once you start you can’t stop. Find all my blog entries at https://www.best-boardgames.uk.